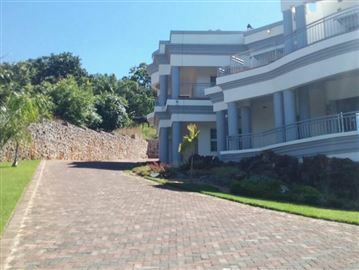 Cluster home within a secure complex with 24hr security. 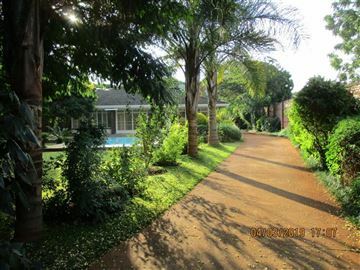 Set in it's own secluded beautiful garden with all the amenities of a large home but being lock up and go. 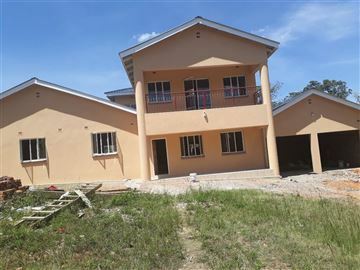 A beautiful 4 bedroom house with 3 ensuite bathrooms and 2 walk-in closets. The 2 upstairs bedrooms have balconies. There are 3 lounges, a dining room, an office and an indoor swimming pool. 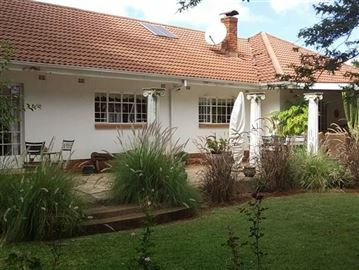 There are 2 cottages, one with 4 bedrooms and another with one bedroom. 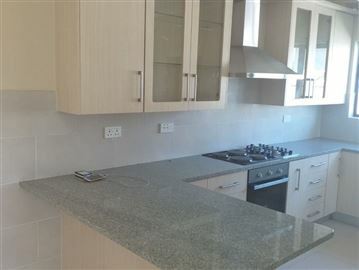 The kitchen opens up to the entertainment area. 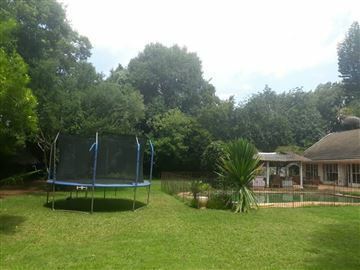 It is close to all amenities, about 3km from Sam Levy’s village. 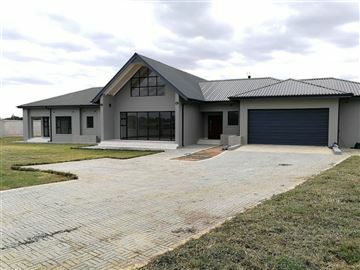 Available is this well built and beautifully finished house in this new development in Borrowdale. 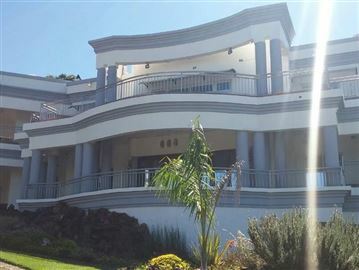 The property comprises of a 4 spacious bedrooms with quality built-in cupboards, 3 and a half bathrooms, grand living area with high beam ceilings and modern lighting fixture, state of the art kitchen with modern appliances, walk in pantry and scullery, study, entertainment area, swimming pool and two bedroom staff quarter. This is a MUST SEE!!!! 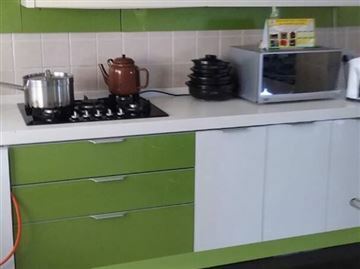 Developer can furnish it for you for an extra fee. There will be a total of 130 units in the development including a massive shopping mall. 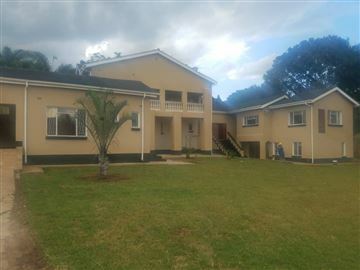 This duplex, semi-detached townhouse is located close to Borrowdale Village. 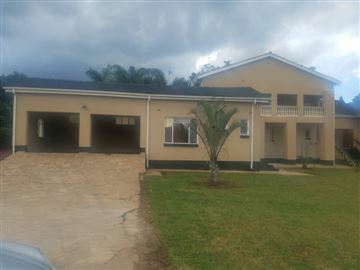 It comprises of 3 bedrooms, a balcony leading off one of the bedrooms, 2 bathrooms, 1 en suite, guest toilet, fitted kitchen with pantry, open plan lounge/dining room, leading on to a verandah and into a large private garden. 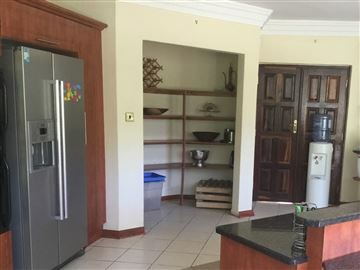 Modern townhouse in a complex of 7 comprising of 3 bedrooms, 2 ensuite, 3 bathrooms, a guest toilet, Open plan Kitchen , Lounge, dining room, Storeroom, Double Lock Up Garage, Patio with Braai area, Decked pool area, New not yet lived in. Garden needs attention. 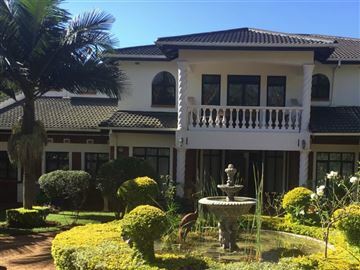 Characteristic double storey home set on 9000 square meters, amongst enchanting tropical gardens with a very private, manicured front lawn with an exquisite view! 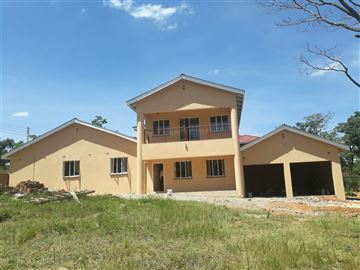 3 en-suite bedrooms and 4th bedroom with family bathroom, all with built in cupboards. 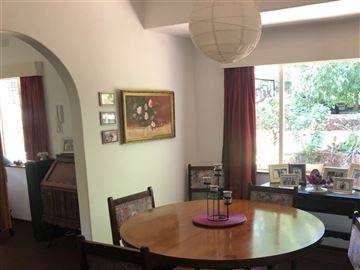 Mezzanine floor / loft – office space or possible 5th upstairs bedroom with exposed pine beams and built in desk space, accessed by wrought iron, spiral staircase from entrance hall with guest WC above the fully fitted, Pine wood paneled bar / pub. 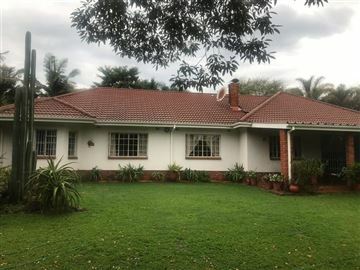 Split level living area, carpeted with a fireplace and French doors onto the verandah, and wrought iron, spiral staircase to the upstairs bedroom - fully fitted pine wood paneled, including desk, cupboards and exposed roof beams and compact WC / shower. 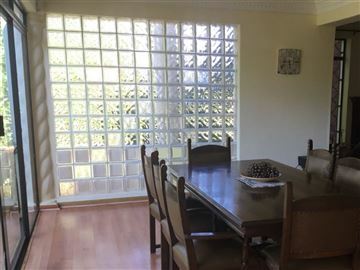 Fitted kitchen, tiled with granite surfaces - open plan carpeted dining room with jetmaster fireplace, out onto verandah and large separate scullery / 2nd kitchen, laundry and walk in pantry onto enclosed back courtyard. Main en-suite bedroom wing including carpeted study with built in desk and cupboard space, dressing room with his and hers sinks and sauna. 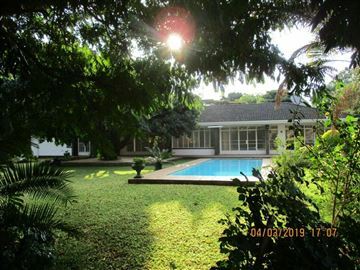 Main and 3rd bedrooms connect into enclosed courtyard through to 2nd courtyard with outdoor shower. Entire interior freshly painted. Cellar and wine tasting showroom with balcony, office and WC. Detached office. 4 lockup garages, 2 shade carports, workshop, several additional, lockup storerooms, workshops and outbuildings being used as aviaries. 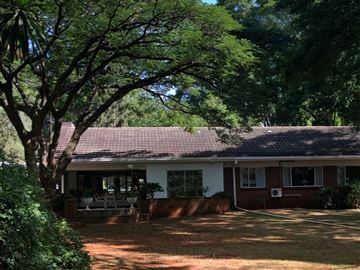 8 Stables, tack and storerooms, lunging ring, paddock. Brick braii / entertainment area. 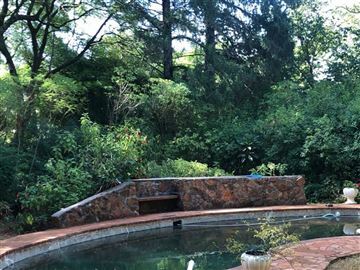 Private swimming pool area with bricked entertainment space surrounding. 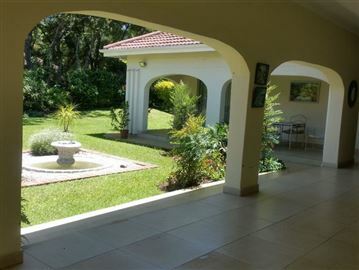 Landscaped gardens, tropical planting and fishponds. Exceptional views. Location, location, set on 7732 sq. 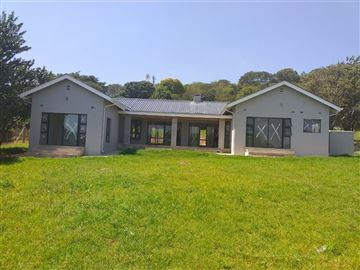 metres of prime land with a prolific borehole in Borrowdale, around the corner from Village Walk Mall. 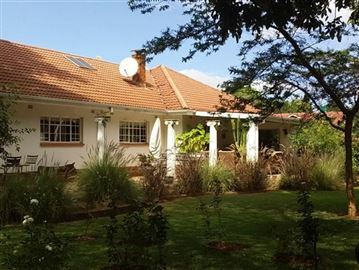 This property has a house with 4 beds, 2 baths, lounge, kitchen and dining room. 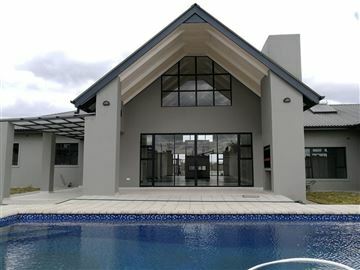 Electric gate, swimming pool and a double lock up garage. The official zoning of the property is available on request. 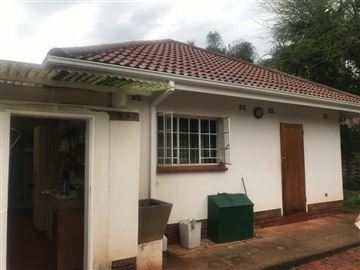 Lovely unit within Ryelands comprising 3 bedrooms main-en-suite, lounge, dining room, fitted kitchen, guest bathroom, loo, study, two roomed staff accommodation with toilet and shower. 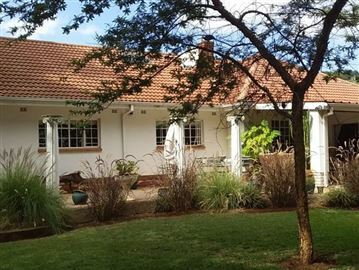 The property has a private garden ,a double lock-up garage in a security controlled complex. Well worth viewing !!! 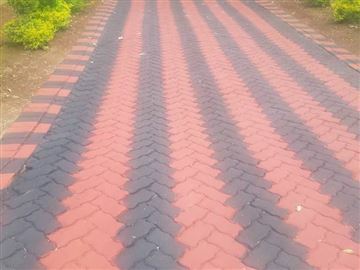 set on 4086 sq. 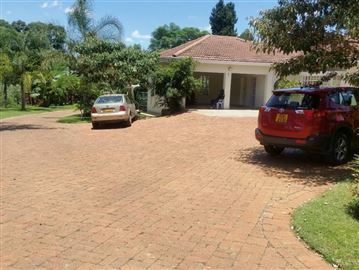 metres which is fully walled and gated/ The property has a good borehole. 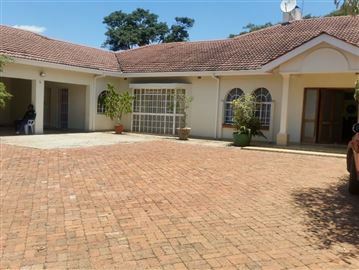 The house comprises of 3 beds sep toilet, sep shower room and a bathroom, kitchen and lounge. 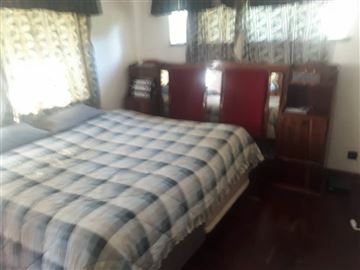 The guest wing has a bedroom and bathroom. 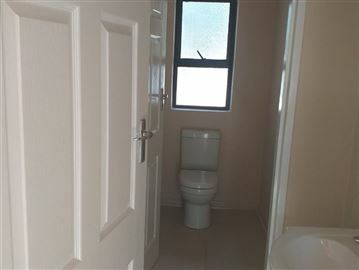 The property is also zoned for flats and cluster houses and the main sewer is 20 metres away. 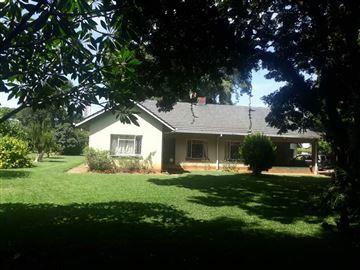 Solid family home in golden triangle, 1.447 acres. 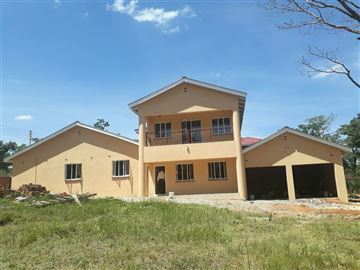 Main house - 3 bedrooms with built-in cupboards, 2 bathrooms (main ensuite), large lounge with built-in fireplace, adjoining dining room, study and fitted kitchen. 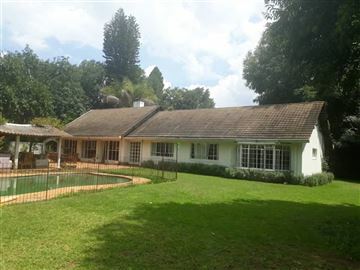 Ideal for entertaining with a cosy pub/bar leading onto verandah overlooking a large garden (seasonal borehole) with established trees and pool. 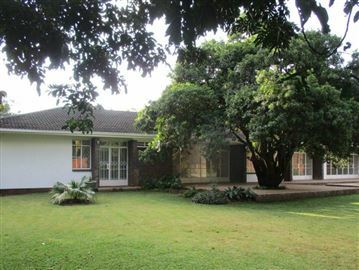 The house is secured with Trellidoors, internal and external alarm system and has air-conditioning and ceiling fans in most rooms. 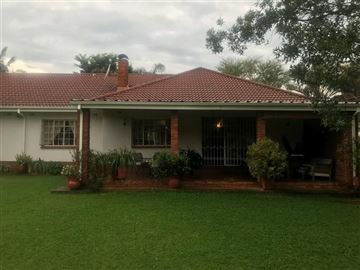 Cottage - self contained with lounge, fitted kitchen, full bathroom and bedroom leading out onto verandah and garden. 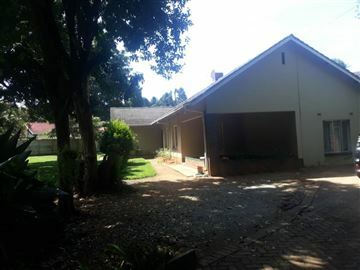 Single lock-up garage and double shadeports, paved driveway, electric fence. 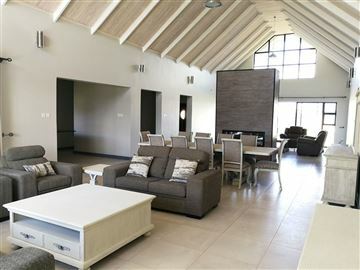 Double domestic quarters, external workshop and storeroom, seasonal borehole and 15,000 litre water containers. 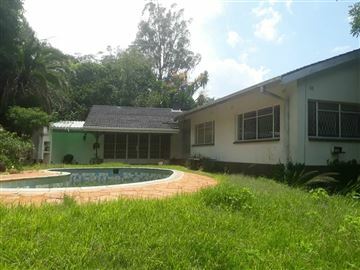 Spacious front and back garden areas - lots of potential! Please call Kirsty on show me for more information.